Lush launched six new shampoo bars last November and I had been eager to try out Copperhead since I heard of its creation. 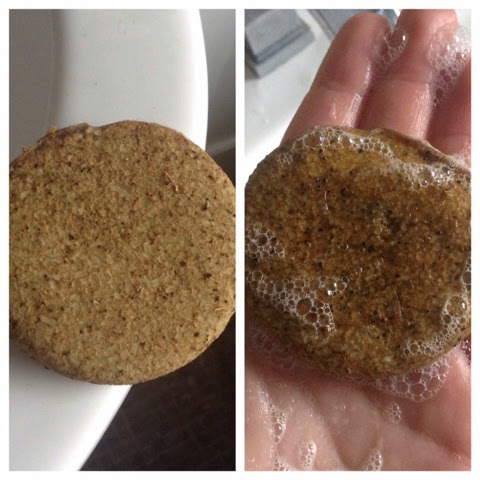 The shampoo bars are solid, soap-like bars that you use to wash your hair. They lather up great and last for over 80 washes! As they are sold 'naked' (without packaging) they are also uber eco-friendly. Great! But how does this particular bar perform? If you follow my blog you will know I love the solid shampoo Trichomania by Lush because it was great for my sensitive scalp and dry hair. Copperhead caught my attention because of it's ingredients; It contains henna and cocoa butter. Why so special? I hear you ask... Well, it's because, I hate to break it to you, I dye my hair red. I'm not a natural red head so I need shampoos that cater to my lovely red locks. A lot of the Lush shampoos haven't been moisturising enough for my colour and heat damaged hair but Copperhead has been a lifesaver. The cocoa butter leaves it noticeably softer and bouncy looking now moisture is restored. Each time I've washed my hair, it looks shiner and is left more manageable. The henna is working great for my colour too. Henna coats the hair meaning it isn't damaging my strands but actually protecting them, unlike other abrasive shampoos I have tried. The smell of the shampoo bar is a little odd. It's got a slight coffee bean fragrance to it which I quite like no I've gotten used to it. It doesn't really stick to the hair either so I don't have to worry about my hair smelling like Starbucks. I can vouch for this products longevity too - as you can see from the pictures the bar is still in tact yet I have been using it almost every day since November! I still have a place in my heart for Trichomania when my scalp is bad, you can read that review here, but Copperhead is working great for the rest of my hair washes AND I don't have to worry about my colour fading too fast! Thanks Lush!